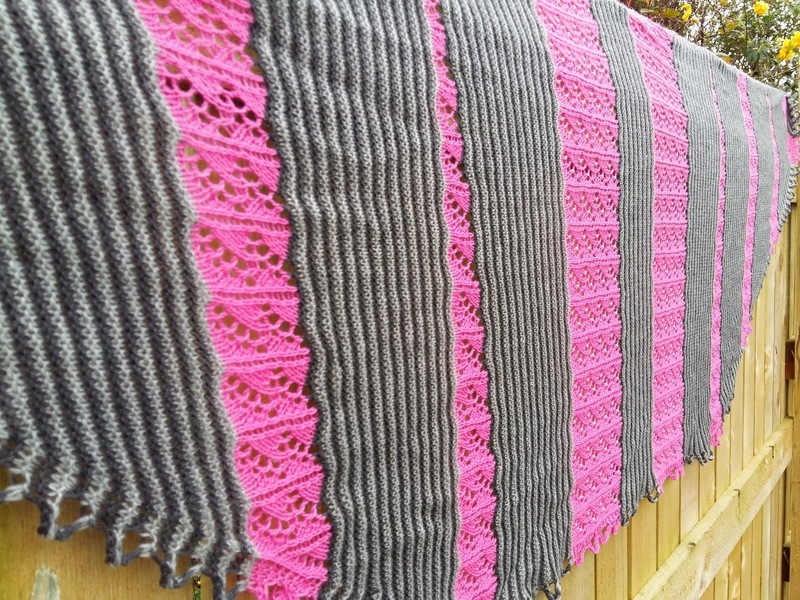 Amelie is a beautiful, elegant shawl which is worked sideways. 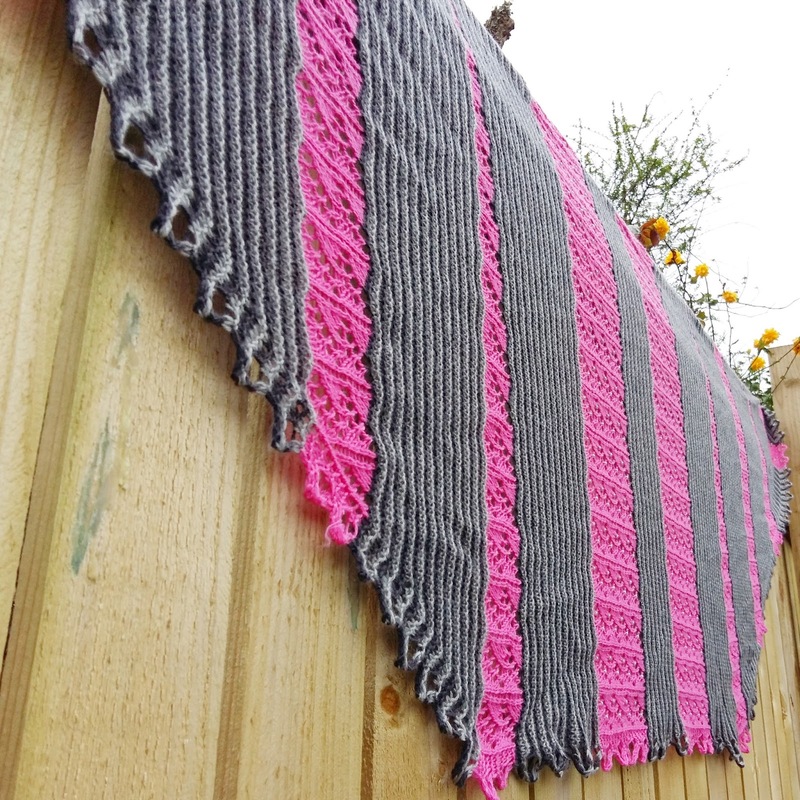 It alternates between stripes worked in garter stitch and an easy lace pattern. 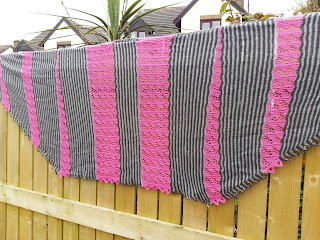 The shawl starts with a section where you increase one stitch every other row, then you work a section straight with no increases and then you decrease one stitch every other row for the final section. 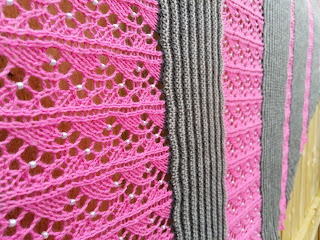 I've inserted four short row panels to help the shawl curve slightly. This is a very subtle curve. 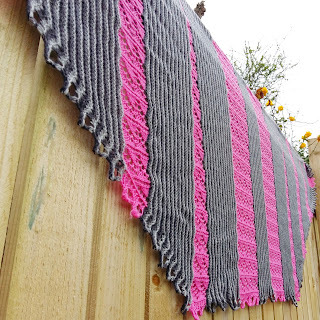 I did write about Amelie for the last Monday Mini Tip Tutorial but the pattern was then only available for pre-order at that time The pattern is live now and you can get 30% off until 20 April 2017 by using coupon code: amelie30. 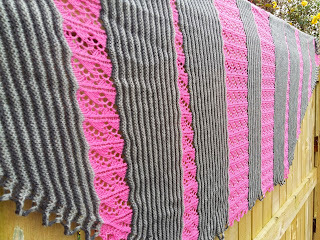 I've also got kits for Amelie available here. 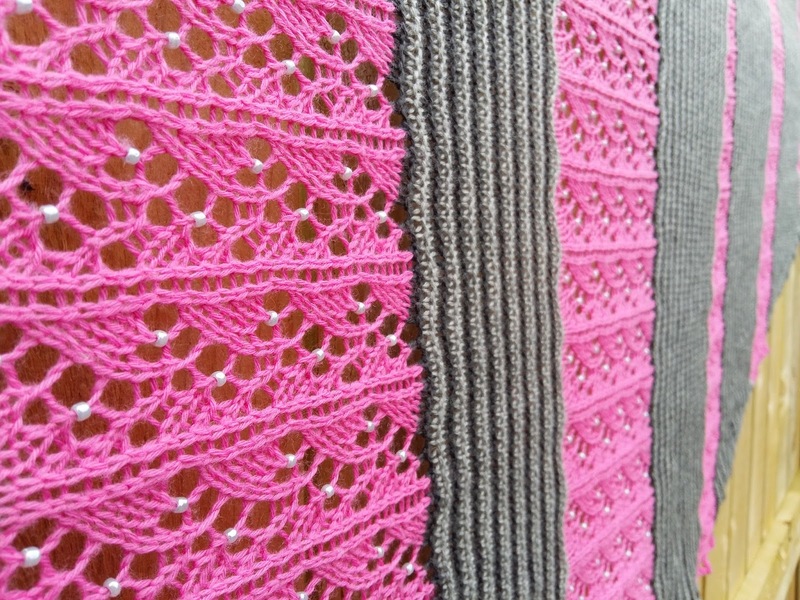 The kits include 8 balls of Lang Merino 200, size 6 seed beads, printed and pdf pattern in the colours shown in the original sample. Full price is £46.50 but the kits are currently £40 with free UK postage. The pre-order for the kits will close on Wednesday 19 April 2017. Kits will be shipped by 26 April 2017. 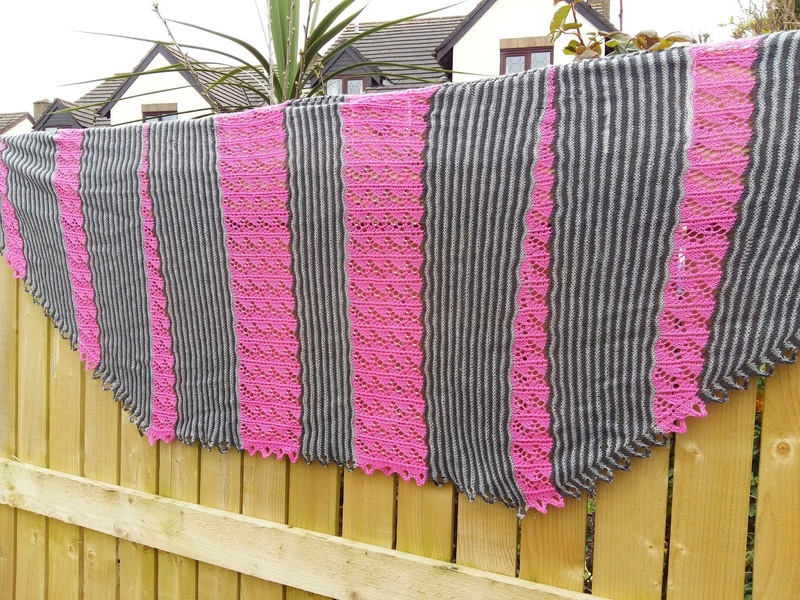 If you'd like to swap any of the colours, do e-mail me on yarnaddictcs@gmail.com by 19 April and I can organise that for you.